Dark lips? This is very common among we girls. I myself always had pigmented lips. Not too dark though. To hide them I always wore lipstick. But that’s not the ultimate solution. Hence, i researched a lot on how I can get rid of this pigmentation. Recently a friend of mine also asked me to post about this. So I thought why not? 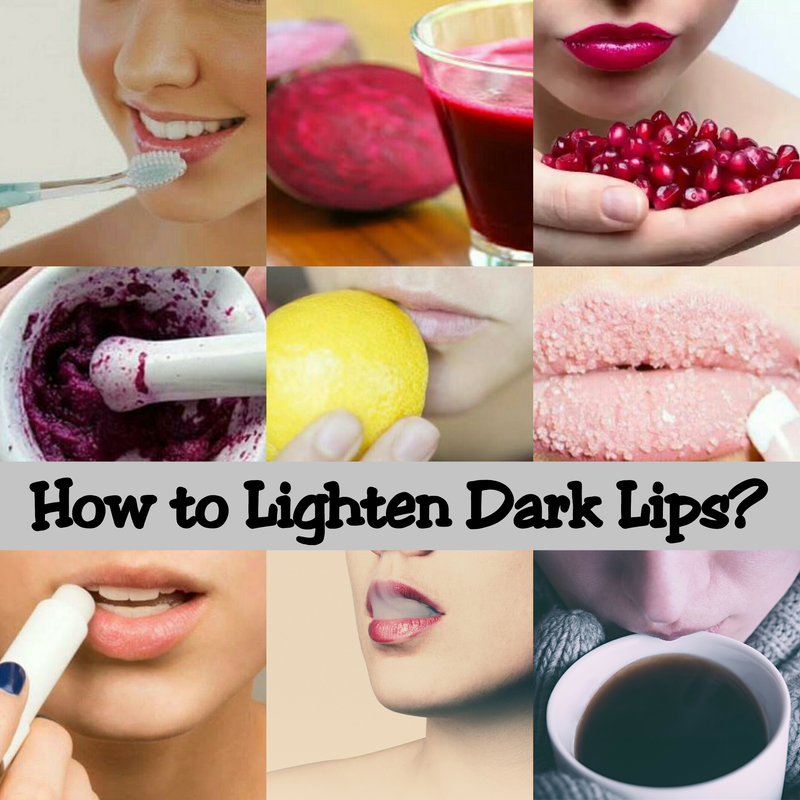 Today in this post we would cover the reasons that cause dark lips and how to get rid of it? Excessive exposure to sun light as this triggers the production on melanin. How to lighten dark lips at home? Exfoliation: It is very important to exfoliate lips in order to get rid of dead skin cells. Mix lemon juice with sugar and apply it on the lips. Now gently scrub your lips in circular motion. Do this every night before hitting bed. You can also gently exfoliate your lips using a soft toothbrush. Rose petal mask: Soak rose petals in small amount of milk. Make a paste of it and apply like a mask every night before going to bed. Mix a little honey to give extra moisture to your lips. Use this daily and you will see noticeable change in just few days. Rose water and honey: Mix rose water and honey. Rub this on your lips gently. Do this daily before going to bed. Fruit and vegetable juices: Pomegranate, Beetroot, Potato, cucumber, Lemon, juices of all these is very helpful in lighting dark lips. Just extract the juice and apply directly onto the lips. Use good quality lip products which have some amount of SPF in them. Cut down on caffeine, smoking and tobacco. I hope this post helps you in some way. Do leave your views in the comments below. Good tips. Very helpful! Thanks Bhavna.